Unless your computer is fresh out of the box, it’s probably not running as fast as it used to. Our PCs fill up with all sorts of good stuff like documents, music, videos, programs, games, downloads and bad stuff like viruses and spyware, too. Over time they can get bogged down. Much like oil changes for your car, a little periodic maintenance can help extend your computer’s lifespan. And in a tight economy, it’s smart to take a few simple steps to help keep your PC running like new, instead of buying a new one. Here is a series of tips and tricks I use regularly, to keep my computer run more smoothly and broaden its useful life. They are easy enough that anyone, even a novice, can run them but they can all help bring that “new car smell” back to your computer. Computers with Windows XP and newer operating systems come with several simple utilities to check, clean and de-clutter your hard drive. Doing so will free it up to access your programs and files more quickly. Disk Check identifies and removes hard disk errors caused by crashes or power failures. It’s a good idea to run it every few months to make sure the drive itself is functioning properly. Disk Cleanup removes temporary files and unnecessary detritus from your hard drive, freeing up space. For example, when browsing the Internet your computer collects thousands of temporary files to help Web sites load more quickly. But over time these files create clutter, so it’s a good idea to clean them out. I recommend running this around once a month. The Disk Defragmenter improves hard drive performance and speed by piecing together parts of files that have been broken apart. As you use your computer, files are constantly added, changed and removed. Over time, these files and folders are broken into chunks of data, so when you want to access the file your hard disk has to work harder and look in more places to find all of its contents. This is known as fragmentation. The more full your hard drive becomes, the more likely it is your files will be fragmented. The Defragmenter pieces those chunks of data back together, so your hard drive can load them more quickly. I recommend using this utility at least once a month and it’s best to run when you’re finished using the computer for the day, as it can often take over an hour to complete. Though it sounds counterintuitive, dropping an unwanted file in the Recycle Bin doesn’t actually remove it from your hard drive. To prevent accidental deletion, a file can remain in the Recycle Bin and continue to take up space. Periodically emptying the Recycle Bin helps free space for the files you want to keep. By the way, if running all these individual fixes doesn’t sound like your cup of tea, there is software available that can optimize your computer in a few simple steps cleaning our your hard drive, speeding startup and shutdown, and repairing errors. AOL offers two that are worth checking out: PerfectSpeed and System Mechanic. New Ten must know Google Search Tricks. By now you know how to use Google to search for a flight, look up a definition, or solve a simple math problem. But what if you want to do a search comparison or want information from a certain time period? 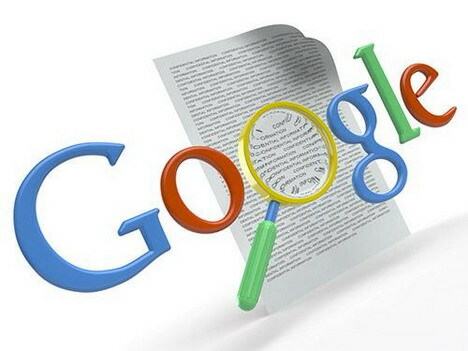 Here is the 10 tips and tricks for searching Google like a Pro. Searching for a comparison chart on a certain topic? Try using Google Squared for a collection of information. For instance, try searching Google Squared for “roller coasters” to see a chart of the top 20 tallest roller coasters, or check out chart of hurricanes for images, descriptions, and damage estimates of recent hurricanes. Not quite sure what you’re looking for? Google’s Wonder Wheel gives another way of looking at the related searches near what you’re looking for. Located in the left-hand sidebar, Wonder Wheel produces a circular chart with searches that other people have done recently that are related to yours. Need to find something you have found on Google before? Try searching your own Google search history. Sign into your Google account and enable web history. Run your searches and then visit http://www.google.com/history to see your search history and revisit previous searches. Search history also syncs to your mobile device. Google Voice Search lets you speak your search queries into your mobile device while on the go. Google Voice Search app is available on iPhone, BlackBerry, and Nokia S60 V3 phones. If you have an Android phone, search for the “Voice Search” app in Android Market. For those who want info from a certain time period, Timeline option is a sure shot help. Located in the left-hand toolbar, the feature lets you zoom in on any time range and see news pulled from assorted sources, including books, news, and web pages. Searching for the Anglo-French Wars, for instance, brings up a timeline that runs from 1600-2010, stepping down into individual years, then months. Want to filter your results in Google Images. Try searching for a word that could be found in a range of images, such as names like heather or raven or cliff. Towards the bottom of the left-hand sidebar in Google Images, you will find a dedicated option to only clip art, photos, or line drawings. Trying to find a particular type of file? Google doesn’t only look for HTML. Type what you’re looking for and then add ‘filetype:tag’ on the end. For instance, ‘filetype:doc’ will only results with those types of file. This search supports PDF, Microsoft Office formats, Shockwave Flash and so. To compare different Google Suggest results side-by-side, go to http://hint.fm/seer/ to get a visual comparison of two search prefixes. Though not a Google product, Web Seer was built by two Googlers and gives interesting insight into Google results. If you know there’s a specific string of letters or words in the URLs of pages you are looking for, you can use “inurl” to find them. For example, many websites with public webcams have URLs that contain “view/view.shtml”. So search for inurl:view/view.shtml and your search results will display the URLs for webcams around the world. You can search a wide variety of sites by inserting > before the type of site you want to search. For example, [penguins site:>.edu] searches for penguins across all .edu sites. [crater image site:>nasa.gov] searches for crater images across nasa.gov. I hope you liked these tricks if you any if you would like to share leave them in the comment section of this post. iPhone 5 (or the iPhone 4S, as some are calling it) rumours are flying thick and fast already. Let’s raid the iPhone 5 rumour fridge to find the tomatoes of truth amid the stinky stilton of baseless speculation. The iPhone 5 is coming. Maybe it’ll land in September, maybe October, maybe some time after that, but sooner or later Apple is going to release a sequel to the wildly successful iPhone 4. That successor might have a larger screen, NFC, a slimmer design, or any number of other features… if the rumors are to be believed. Before every launch we hear all sorts of rumors/leaks and some of them inevitably end up being true, so while we take everything we hear with a healthy dose of skepticism, it’s still worth it to pay attention. What top features do you want to see in the next generation iphone..? ?